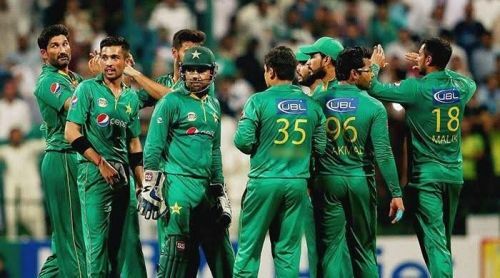 After an impressive Test outing against the Aussies, Pakistan will aim to replicate their success in the shortest format, when they face Australia in the first T20I at Sheikh Zayed Stadium in Abu Dhabi on Wednesday, October 24. Both teams have played 17 T20 internationals against each other with the Asians leading the head-to-head 10-7. Both nations last faced each other in this format in the Zimbabwe tri-series final at Harare in July. Batting first, Australia set Pakistan a stiff target of 184 but the latter managed to overhaul that total and register a six-wicket win to clinch the trophy. Australia have won nine and lost three out of the twelve T20I fixtures they have played this year. Australia played their previous 20-over game on Monday against the UAE as preparation for this series and they won that match quite comfortably. But Pakistan will certainly be a different challenge for them and before taking on the hosts, the visitors need to polish few areas which were exploited by the UAE. D'Arcy Short raised eyebrows in his previous outing against UAE as he went on to score 68 runs from 53 balls and laid down a platform for an easy win. The opener will be expected to put on a similar performance against Pakistan as well. Aaron Finch will be hoping to rectify his forgettable outing against UAE as the skipper managed to score a solitary run in six balls, before throwing his wicket away to Amir Hayat. With all eyes on Ben McDermott, who made his T20I debut against UAE and is coming off an impressive performance in JLT Cup, he will be eager to make an impression on the international stage. Billy Stanlake and Nathan Coulter-Nile took two wickets apiece against UAE and will be expected to make early inroads into the Pakistani lineup. Andrew Tye will pose the biggest threat to the Men in Green with the ball. He was quite impressive in the T20I series in Zimbabwe and is likely to be the spearhead once again. Aaron Finch (C), Chris Lynn, Glenn Maxwell, Ben McDermott, Alex Carey, Ashton Agar, Nathan Coulter-Nile, Andrew Tye, Billy Stanlake, Adam Zampa and D'Arcy Short. The hosts will go into this game high on confidence after having crushed the Aussies in the Test series. Pakistan also have a strong T20 record at this ground with four wins in their previous five encounters, including the last three straight. Fakhar Zaman possesses an impressive strike rate of 143.56 in T20Is and will be eager to ride the wave of momentum he has currently. Shoaib Malik is the leading run-getter for the team in this format and he along with Babar Azam, whose average is over 50 in T20Is, will be the key figures in the lineup. Pakistan will rely mostly on Hasan Ali and Shadab Khan. Hasan has five wickets in two T20Is at this ground. Shadab has 32 T20I wickets to his name at an outstanding average of 18. These two are likely to cause problems for the Australian batsmen and will bear the responsibility to get the breakthroughs. Sarfraz Ahmed (C), Shadab Khan, Imad Wasim, Usman Khan, Hasan Ali, Shaheen Afridi, Fakhar Zaman, Mohammad Hafeez, Babar Azam, Asif Ali and Shoaib Malik. 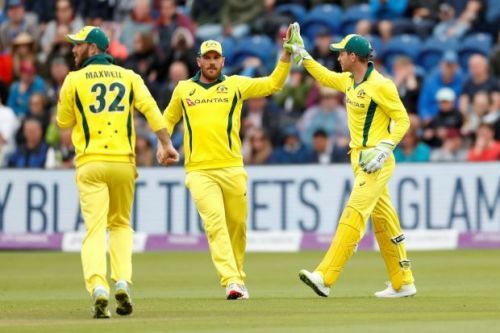 Pak vs Aus 2nd ODI, 2019: Preview, Match Details, Playing XI predictions and Stats.